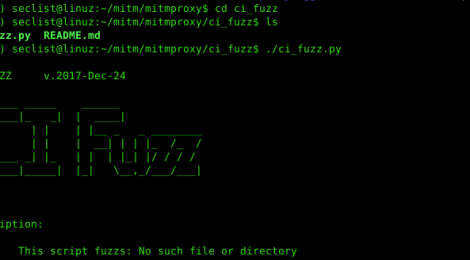 Browse: Home / ci_fuzz – Command Injection Web Fuzzer Script for mitmproxy. ci_fuzz script fuzz’s for Command Injection vulnerabilities resulting in remote command execution. + The script will attempt to execute OS commands by injecting into every value in the body of a POST/PUT. If the payload was executed, the attacker would recieve an icmp ping packet. In this example, the web application is vulnerable to command injection/execution via setting the system time. ← Check_ioc is a script to check for various, selectable indicators of compromise on Windows systems.